Good news this evening is that Seb Josse has just taken the lead in the Vendee Globe. Go the offshore Mothie! Still relatively early in the race, but a great effort so far. Should we organise a Moth flyby when he returns? 9 Days is how long Paul Larson and the Sailrocket team have got before the team from the WSSRC turn up to validate their speed runs. They've been getting around 45 knots out of Sailrocket for a little while now, and I really hope they can squeeze a bit more out of her on some official runs. They've got a number of tweaks to help, so fingers crossed the weather is kind to them. Exciting times in sailing at the moment. Two round the World races going on, and numerous records being smashed. 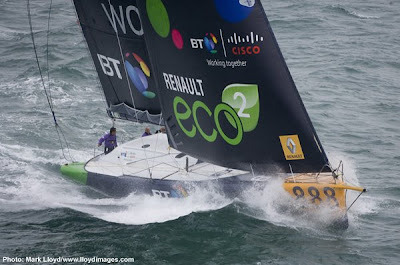 Congrats to the guys on Ericsson 4 - achieving over 600 miles in a day is very impressive! Hydroptere are going strong with improvements on a few of their records, although still short of 50k. 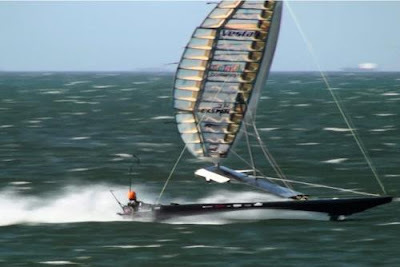 The kitesurfers have done over 50k now, but the WSSRC have yet to validate it..
And I read today that at the SYZ & CO Leman Sailing Speed Records Award Ceremony, Geneva, Switzerland, Jean-Pierre Ziegert in his foiling Moth won the Kilometer record with a speed of 21.90 knots. Beating the Mirabaud LX foiler into second. 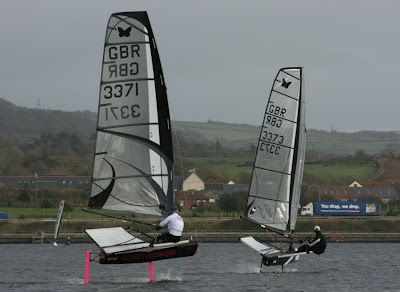 The day after Corus open was rather windy in Weymouth. 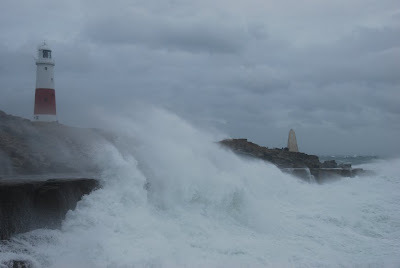 54 knots on the wall and Portland Bill was almost underwater. 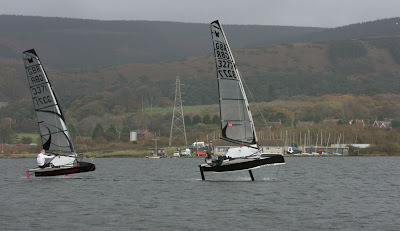 Seven Moths braved the forecast, and headed to South Wales for the Corus sailing club Moth open. The ‘curse of Windguru’ was avoided and the intrepid few were greeted by a great range of conditions. Corus gave us a very warm welcome and gave us four good races. Full use of the lake was made with a P style course giving us a start and subsequent gate off the club line, and a selection of tight and broad reaches downwind. Race 1 saw local hero Dave Edwards lead round the top mark, with Cooke and May in close pursuit. 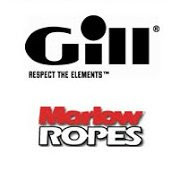 The first few rounds were very close with numerous lead changes at the front until May got through upwind with a high mode that enabled him to lay the upwind gate in fewer tacks. Edwards was looking good for second until a broken mainsheet strop allowed Cooke through. 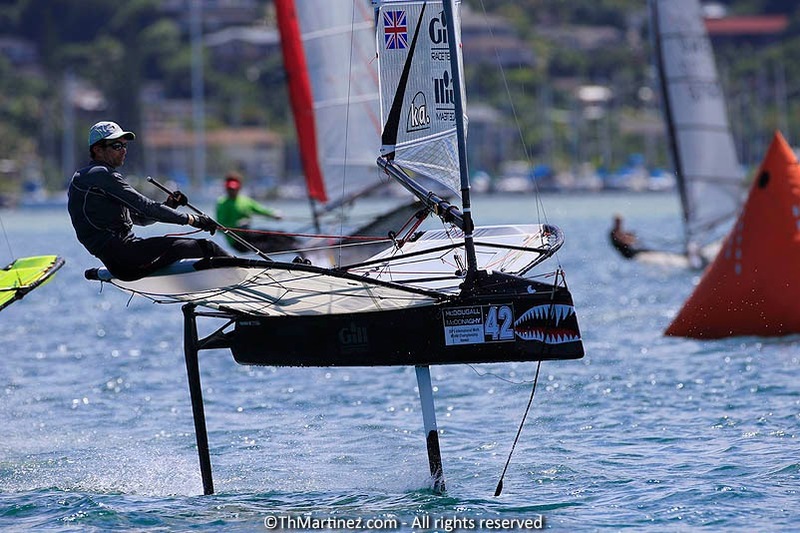 Race 2 saw the wind drop a lot down to marginal foiling. The first beat was again very tight but soon May pulled away, managing to foil for longer up the beats. Cooke was second again, with Edwards third. 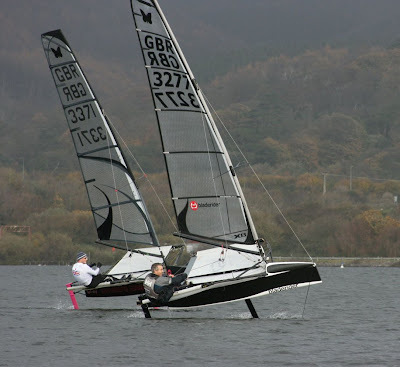 Race 3 was held in more wind again, and solid foiling conditions. DJ was getting stronger and lead early on, but May was able to sail over the top down the second run when DJ sailed just a bit too far into a lighter spot. A little swim by Cooke up the beat while challenging for second dropped him back from the battle for the lead. In reduced light now, race 4 saw the forecasted breeze start to show, and the fleet numbers suffered. Mike Cooke peeled off shortly after the start with a control rod issue, leaving Dave Edwards, and Adam May to battle it out. With a movement of the first gybe mark there was some discussion down the first reach as to where it had gone! DJ spotted it first and was able to stay low and prevent May from gybing. DJ then covered May well to prevent him from getting his nose through and held on well for the win. 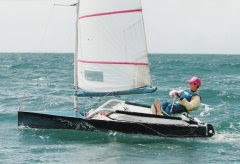 Katherine Knight showed the benefit of her Mini rig in the windier conditions, to take third. With an absolutely shocking forecast for Sunday, the general consensus was to call it a day after 4 good races, and head over the Severn Bridge to home before the forecasted 40/50 knots came through. This left May with the win, from Edwards and Cooke, with Knight taking fourth overall, and first lady. On a personal note it was great to see DJ really getting to grips with his Bladerider. He'd been on the phone most of the week with various questions, and clearly doesn't need too much more help! 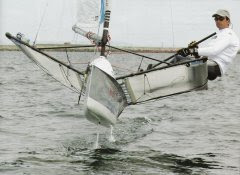 Mike Cooke was demonstrating some impressive near foiling tacks in between racing but they seemed to escape him on the race course. Katherine sailed well in the Weapon with her mini rig up. She suffered in the light race 2, but not by as much as you'd have thought. She stuck out each race and was determined to finish each one which proved to be a good way to do well overall. Moth legend from the past Robin Wood was down to watch, and it won't be long before we see him in a boat! Great times for the class to be encouraging so many people back into the class. The racing was really good, so the South West Mothies are keen to continue to meet up over the winter. Bristol could be the first location for some training. Get in touch if you want to join in.